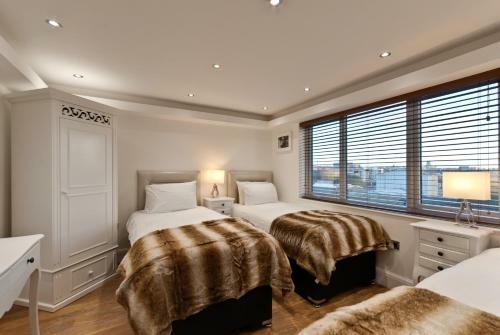 We offer a wide range of hotels near Everton from cheap accommodation to up market luxury hotels. Search our database of hotels to find the lowest rate for your stay closest to Goodison Park. Located in Liverpool, 1.5 km from Royal Court Theatre, The Picture House boasts a sun terrace and views of the city. Anfield Stadium is 1.8 km away. Free WiFi is provided . All units include a flat-screen TV with cable channels. At Liverpool’s Stanley Dock, the Titanic Hotel Liverpool is found in the site’s former North Warehouse, and offers stylish accommodation around 5 minutes’ drive from the city centre. This Grade II Listed Victorian property offers an on-site restaurant, free WiFi and free secure parking. Liverpool city centre and Lime Street Rail Station are a 10-minute drive away. 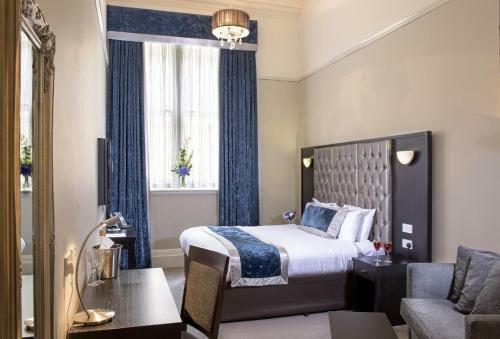 The Best Western Premier Collection Richmond Hotel, is set in the heart of the city centre, in an iconic Grade II-listed building. This stylish 3-star boutique hotel is in Liverpool’s vibrant city centre, 700 metres from Liverpool Lime Street Rail Station. It has free Wi-Fi, an elegant restaurant and a champagne and cocktail bar.